Chinese diplomats in Barcelona, Spain, have attempted to force a theater there to cancel the engagement of Shen Yun Performing Arts, a traditional Chinese dance company. Consulate officials first lobbied the National Theatre of Catalonia, and then failing that, made the rounds to senior officials in the Foreign Ministry. The angry Chinese representatives went in person to the theater and demanded that the show be canceled, because it “went against the interests of the Chinese Communist Party,” according to a complaint made by representatives of Shen Yun, said El Mundo. It was suggested to Foreign Ministry officials that failing to shut the show down “may compromise” relations between Spain and China, the complaint said. This “subliminally pointed to China’s investments in our country and exports of Spanish products,” El Mundo said. In order to press their case, Chinese officials told the theater that artists with Shen Yun, which performs to audiences of hundreds of thousands around the world each year, were “illiterate and crazy.” Unconvinced by the entreaties, the Barcelona theater declined to act on the Chinese officials’ behalf. Foreign Ministry officials did not confirm or deny anything, El Mundo said. “We are not allowed to comment further,” a source said. Shen Yun is a well-known classical Chinese dance company that travels the world with an orchestra. Its performances include Shaolin monks, solitary Taoists, and celestial women who dance in perfect unison. Along with exploring ancient Chinese culture, Shen Yun often includes contemporary vignettes of the Chinese people’s struggle for freedom of belief under communist rule today. Its website says that Shen Yun’s artists “draw inspiration from the spiritual discipline Falun Dafa,” which is persecuted by the Chinese Communist Party. Communist Party representatives often hound Shen Yun where its performances are scheduled around the world, varying their tactics depending on the country. 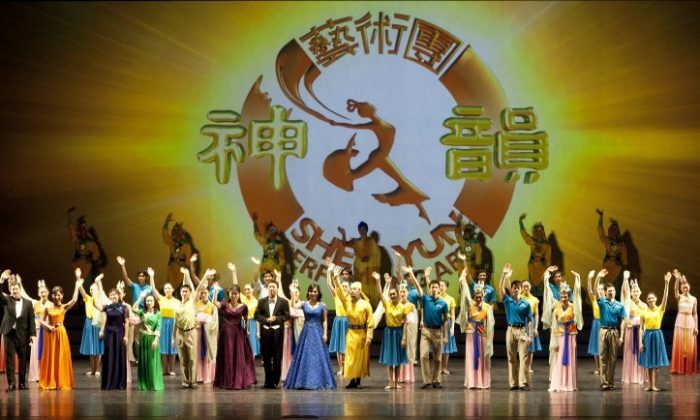 Direct representations to theaters in the United States are often ineffective, but in some European countries Chinese diplomats have succeeded in forcing the cancellation of Shen Yun performances, due to political pressure. One of the emcees with Shen Yun, Leeshai Lemish, maintains an extensive list of such incidents on the blog “Who’s Afraid of Shen Yun?” Common cases include consular officials threatening theaters, or sending angry letters to local politicians. In some cases, consular officials made repeated threatening phone calls to theaters in an attempt to have them cancel the performances. Shen Yun is performing at the National Theatre of Catalonia April 9–12.